Radius moving and storage took great care of my belongings. I contacted them as soon as I got a recommendation from my coworker and I was very pleased with the way they treated me in the first place. They explained everything thoroughly and informed me about each step of the move. Both customer care rep and moving team were very accommodating and polite. There is nothing to complain about in this case as they delivered an impeccable service. I will use their services for sure if I have to move house again. Also, all my friends have already heard about my amazing experience. Radius Moving & Storage genuinely cares about their customers. I used a broker and they were assigned to my move, and I couldn't have been more pleased. I would definitely use them again! Highly recommended. Radius is my new go to for movers! They were super quick at packing and loading my items. I am so happy with the pricing and I am astounded at the amount of work they completed in such a short time. 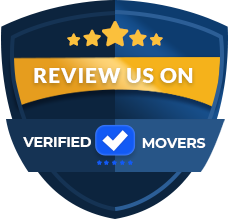 I will be using this company for any moves I have as this way much easier, and a lot more affordable than doing everything myself with a U-Haul! 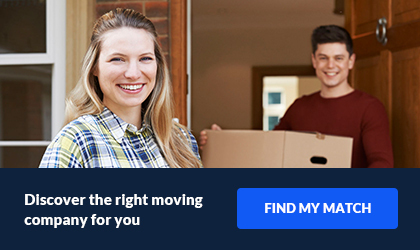 I was terrified to use a moving company after I started researching but I knew I would be unable to complete everything on my own. Radius Moving handled all of my items with extreme care and they really made this whole process a lot easier than I expected. The crew was polite, their pricing was affordable and I will be using them for any further moves! Thanks again for a job well done! Radius Moving and Storage were great to work with from the beginning! They were organized, on time, professional and always kept a smile on their faces. They provided a lot of different options for packing services. They explained the pricing before we were required to agree and sign off on any paperwork. They did not tact on additional charges and our estimate was very reasonable. I would use them again without hesitation. Radius Moving & Storage began with one woman named Michelle, who has worked with many moving companies in the past 14 years. She was bothered by seeing customers get ripped off, low balled, given empty promises, etc. She wanted to open a company that could understand a customer and see them as more than a profit. Everyone's situation is different. Nonetheless, she decided to open Radius Moving and storage, she delivers what others promise. Radius Moving & Storage offers local, long distance, office and residential moves. They offer full packing services as well. This means that the movers will box up whatever you need. Partial packing is an option for you too! All moves come with disassembly of all large items and pad wrapping and plastic wrapping of all furniture. 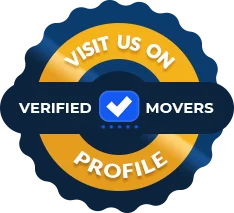 Upon delivery, the movers will reassembly and arrange the items to your liking. You just need to point where you would like them to go and they will place them there! They also offer storage space from short to long term use, and is climate controlled and 24/7 camera monitored, so you can have ease knowing your belongings are safe. This is great for people who cannot accept the items on the delivery end just yet. If you have traveling for work in the mean time, or maybe you are just visiting family, just let Radius know and they will put the items in storage. If you know what date you can accept them early on in the move, they can get this set up for you. Otherwise, just give them a quick call when you are ready and they will set up a delivery schedule for you! Radius is fully licensed and insured, per the US Department Of Transportation, they are operating a fleet of five trucks. Nonetheless, no matter where you are going, they can accommodate your needs!